Chuck Hulihan, has enjoyed a career over the past two plus decades as a guitarist, educator, conductor, narrator, arts administrator, and as a classical music radio host. Chuck has directed the guitar program at Glendale Community College since 1999, where he is the Assistant Department Chair for Performing Arts, and in 2015 he was chosen by his peers to receive the GCC Gaucho Globe Award for Supporting Student Success. His work at GCC is highlighted by collaborations with composers whom have written new works for the GCC Guitar Ensembles, including Mark Houghton, Rex Willis, Jan Bartlema, Adrian Andrei, Frank Wallace, Andrew York, Vito Nicola Paradiso, Francisco Munoz, Aramis Silvereke, and Phil Moloso. Since 2000, his students have consistently won the Artists of Promise competition in both solo guitar and instrumental ensemble categories, and in 2014 the GCC Guitar Octet won the Guitar Foundation of America’s Ensemble Showcase Competition and went on to perform two world premieres at the 2014 convention. Chuck’s work as a conductor has included over 50 concerts directing the GCC Guitar Ensembles and includes leading large orchestras comprising students from high school, college, and guitar society ensembles. He has led the Arizona Guitar Orchestra (AZGO), a collaboration of musicians from across Arizona, in three statewide tours that featured Shingo Fujii’s Concierto de Los Angeles with soloist William Kanengiser, Brad Richter’s Once We Moved Like the Wind, and Andrew York’s By Chants with the Los Angeles Guitar Quartet. 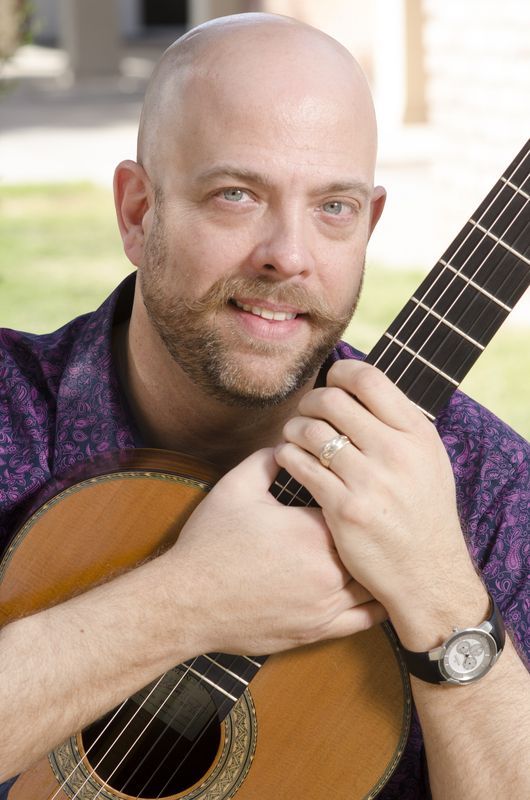 He has been a featured guest conductor with the Clark County School District Honor Ensemble, the Vanguard University Guitar Festival Orchestra, the State College of Florida Guitar Ensemble, The Maryvale Festival Ensemble, Austin Classical Guitar’s Guitar Curriculum National Teacher Training Summit, and the 2019 Florida All-State Guitar Ensemble. Future conducting adventures include 2019 Virginia All-State and 2020 New Mexico All-State Guitar Ensembles and the 2019 Austin Classical Guitar Ensemble Festival. He serves as the Director of the Guitar Foundation of America’s Youth Guitar Orchestra, Community Guitar Orchestra, and Guitar Summit. Chuck actively contributes to the field of music education as a conference clinician and presenter and serves as Western Division Representative for the National Association for Music Education’s Innovations Council, as Innovations Chair for Arizona Music Educators Association, and is an active board member of the Grand Canyon and Phoenix Guitar Societies.